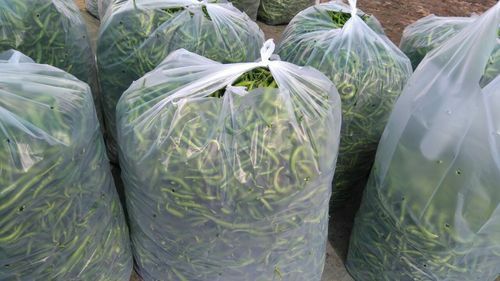 With rich industry experience & knowledge, we have been able to provide the best array of Vegetable Packaging Plastic Bag. Gayatri Plastics Private Limited is owned by Mr. Priyesh Patel which was established in the year 1988 in Bharuch, (Gujarat, India) and is enjoying its predominant position in plastic film making industry since many years. With a perfect blend of rich experience, excellent skills and latest technologies We are happy to serve our client a prime quality material. We are specialized in the business of plastic films and bags production as well as printing industry. We are affianced inManufacturer, Retailer, Wholesaler, Exporter and Service Provider a high quality range of Shopping bag, Laminated Pouches, Milk & Water Packaging Film, etc., to our prestigious customers. Gayatri Plastics Private Limited having a satisfied family of 50 employees. The material used for production is of finest quality which makes the world class output achievable at the most economic rates. The use of latest technologies had brought our production capacity at 100 tons per month.